Wooden spoons can be a cook's best friend -- strong enough to stir unusually thick mixtures, yet gentle enough for your best nonstick pots and pans. Seasoning new wooden spoons before using them conditions the wood and prolongs the life of the utensil. 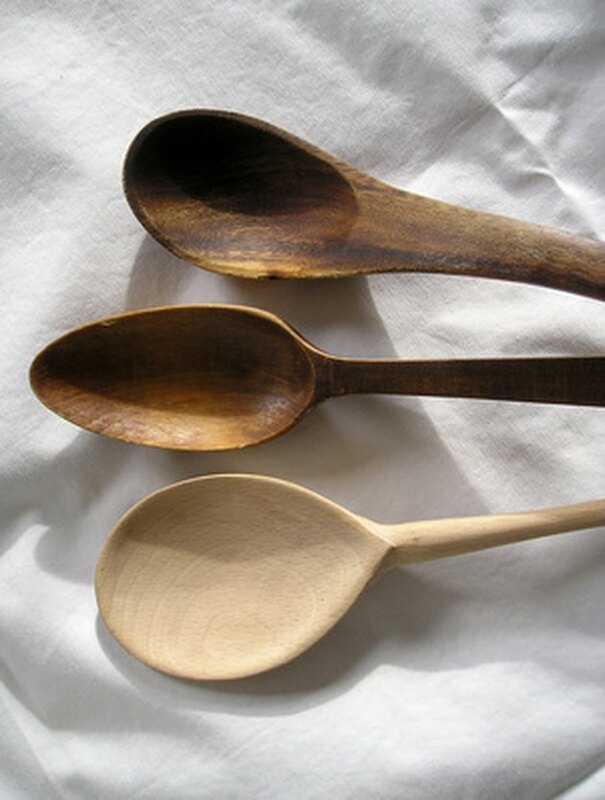 Unseasoned wooden spoons can soak up water and cooking liquids, causing damage to the wood from shrinking and swelling. Coconut oil is recommended as a completely food safe finish on wooden utensils. Wooden spoons are easy to season. Sand wooden spoons with medium-grit sandpaper. Sand new wooden spoons with medium-grit sandpaper (#80 to #60). 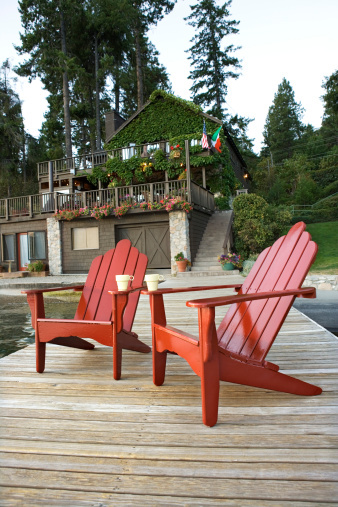 Make sure they are totally smooth, with no rough edges or splinters in which foods or liquids can collect. Wash wooden spoons after sanding. Wash the sanded wooden spoons by hand, using a mild detergent in warm water. Use clean cloths to rub oil onto wooden spoons. Disinfect the wooden spoons by dipping them in vinegar or wiping them with a vinegar-soaked cloth. 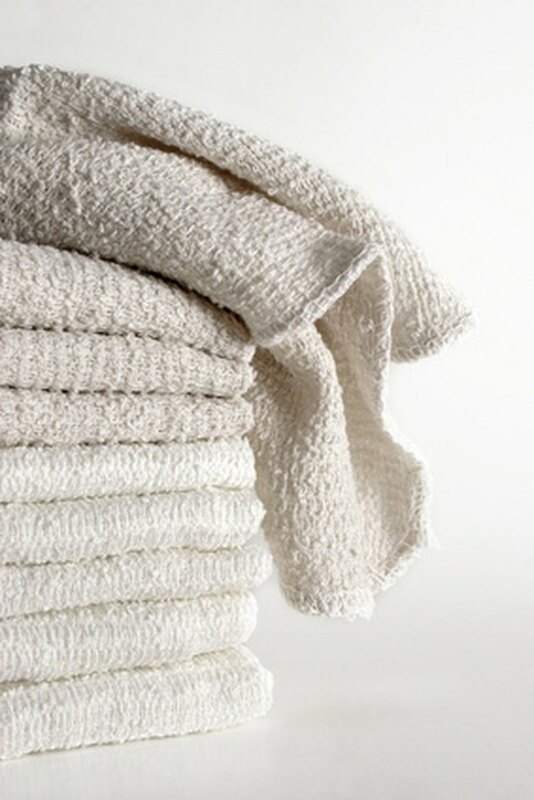 Rinse them with clear, warm water and wipe them with a clean, dry towel. 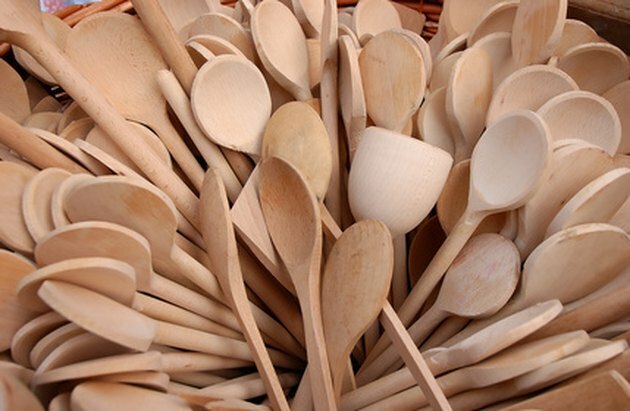 Allow the clean spoons to air dry until the wood is completely dry. 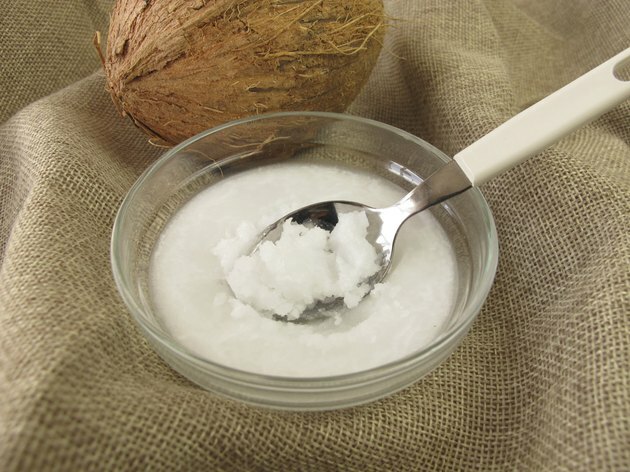 Coconut oil is solid at room temperature. Heat a small amount of coconut oil in a bowl in the microwave at a low power setting for 10 seconds at a time until it becomes liquid. Dip a clean, dry cloth into the melted oil and apply a generous amount to the spoon. Coconut oil enhances the wood grain. Rub the coconut oil onto the wooden spoon, coating it completely with the oil. Let the oil soak into the wood for about fifteen minutes. 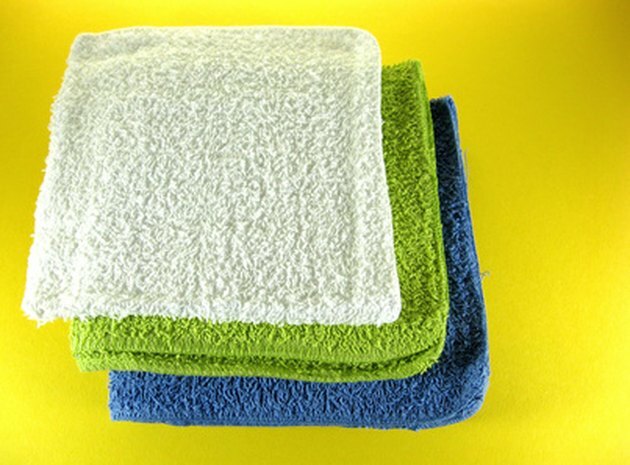 Use clean, dry coths to remove excess oil. Wipe the excess oil off of the wooden spoon with a clean, dry cloth. 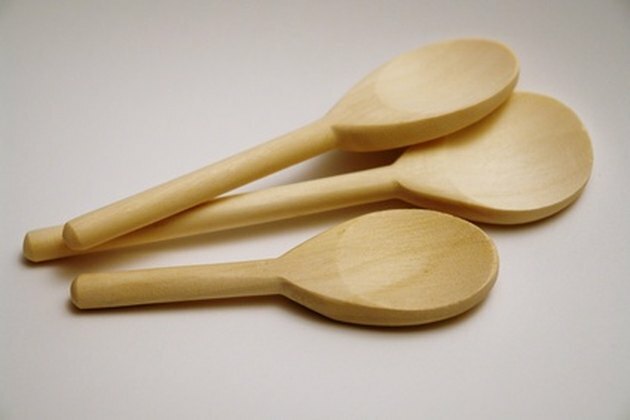 Seasoned wooden spoons repel liquids. 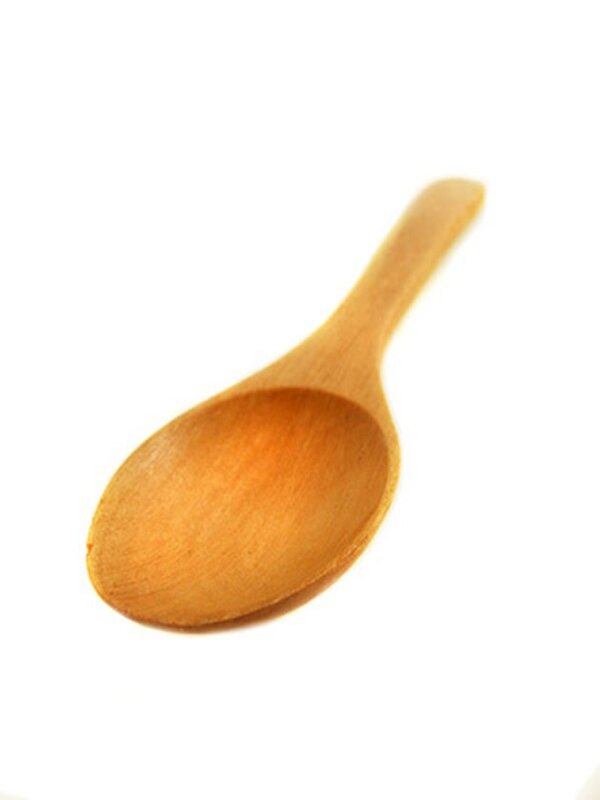 Place the wooden spoon on a clean surface for several hours or overnight before using it. Is a Cast Iron Skillet With a Wood Handle Oven Safe?